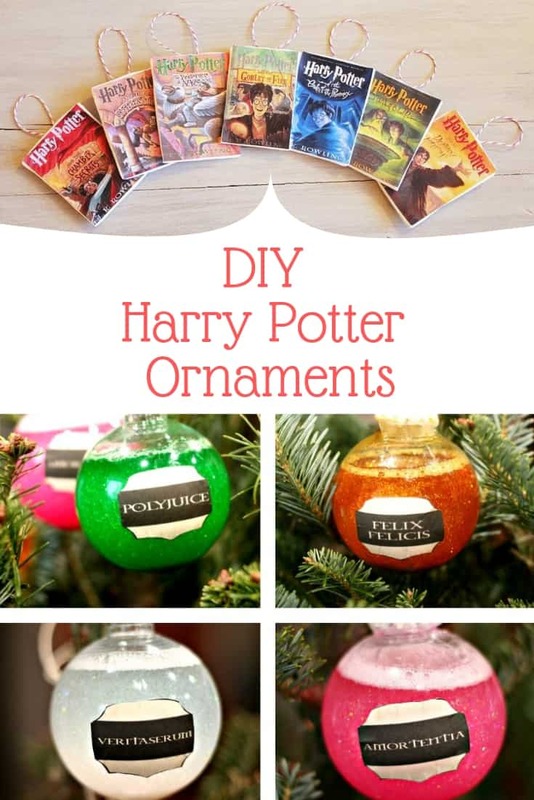 If you love the magic of Hogwarts you are going to love these DIY Harry Potter Christmas ornaments! Be sure to check out the video tutorials too! If you’re a big Harry Potter fan you’ll know that each year Hallmark releases a new must-have ornament for your tree. But one a year is never enough right? 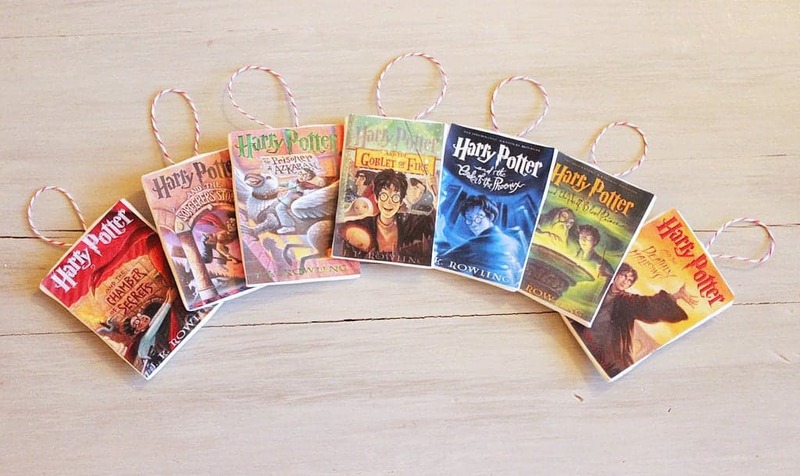 So we’ve been searching high and low to bring you the most magical DIY Harry Potter Christmas ornaments we could find! Be sure to check out the video tutorials too for some creative ideas that would also make fabulous gifts for your Harry Potter fan friends! How amazing are these potion ornaments? 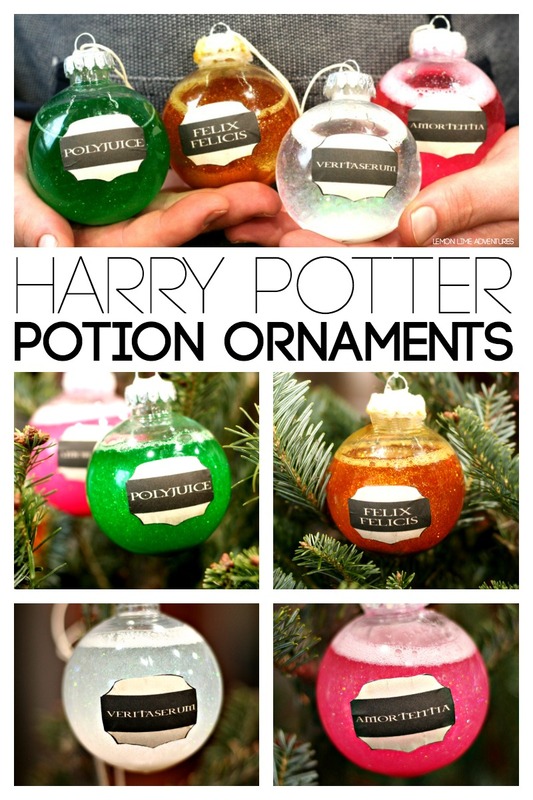 They will look amazing twinkling away on the tree, I think the Polyjuice one is my favourite! Oh the golden snitch that holds the key to everything Harry needs to defeat Voldemort! These look fabulous and are oh so easy to make! These teeny book cover ornaments are so clever, and adorably cute. You’ll need some Crayola Model Magic and a hot glue gun. 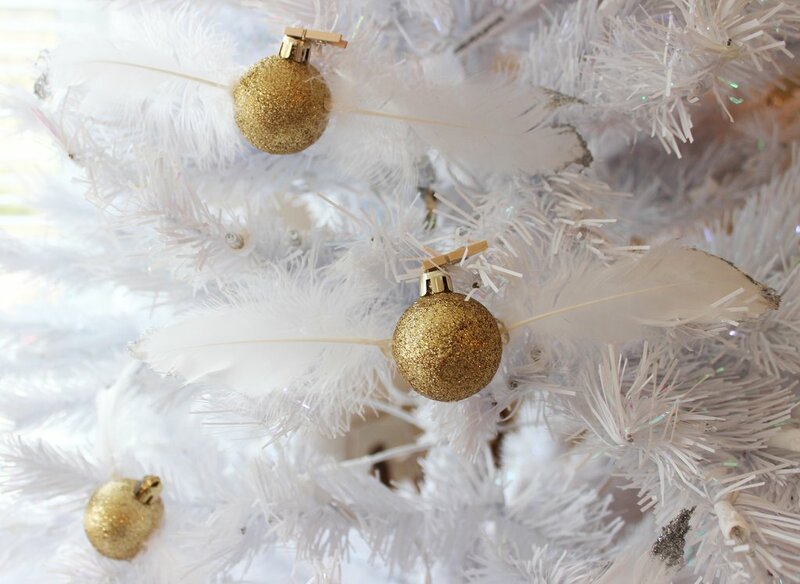 If you are a Magical Beasts fan watch this video to see how to make an ALWAYS ornament. This video tutorial shows you 5 magical ornaments, including a lightening bolt and a Snitch! I LOVE the Quidditch players Karen shows you how to make in this video! And finally how about this fabulous Platform 9 3/4 bauble!